Can you solve the castle's mysteries? Steam Punk & International Espionage! It seems to me it’s been a while since we’ve had a steam punk game – and I must admit it’s no loss for me. This one is unarguably good in terms of graphics (clear and detailed, hand drawn). The intro is also well done, with excellent voiceovers, and a story that is slightly different. Plenty of cut scenes early on to get the story straight. I liked that the inn was crowded – no abandoned sheds was nice for a change. A good start, although from the beginning I get the feeling it is a little lightweight. You are an espionage agent, called to Germany, to the village of Hochwald by your supervisor and mentor, Dr Ink. Apparently, something is drastically wrong in this town, and is creating unnatural earthquakes in the region. Upon your arrival, Dr Ink is grabbed by a giant robot, leaving with you his mechanical assistant, Matthew. This crow can provide information by playing video, and is good for those out of reach objects. According to the local townsfolk, the troubles all began when General Engineer returned, so your first step will be to find out what is going on in that fortress above. 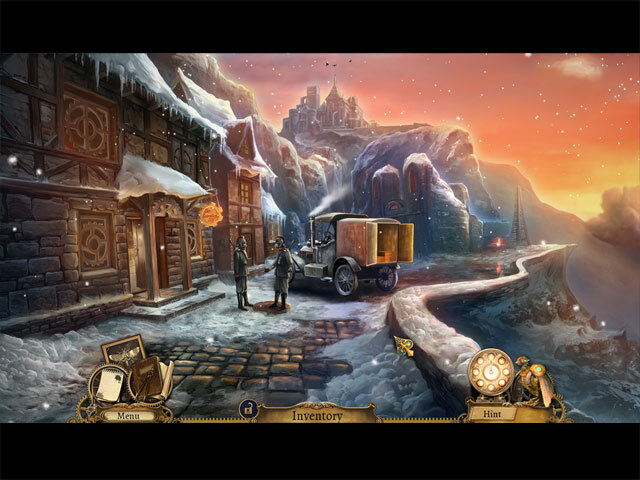 This is an adventure (lite) game with some fairly familiar puzzles and some quite different kinds of HO puzzles. In the very short demo (30mins), I encountered a fragmented object scene, a find-and-use (progressive) silhouette one (completed over 2 visits to the scene), and a very special puzzle board styled HO game. The dollhouse contains a group of dolls that have jobs to complete, and you must find the items they need to complete them, one at a time, according to a silhouette you are given. Different and fun. The hint is directional, the map very useful with available actions and jump facility, and there is also an objective list. According to the SG, there are 9 chapters plus the bonus, and the demo ended at the end of the first chapter. So the length promises to be good. 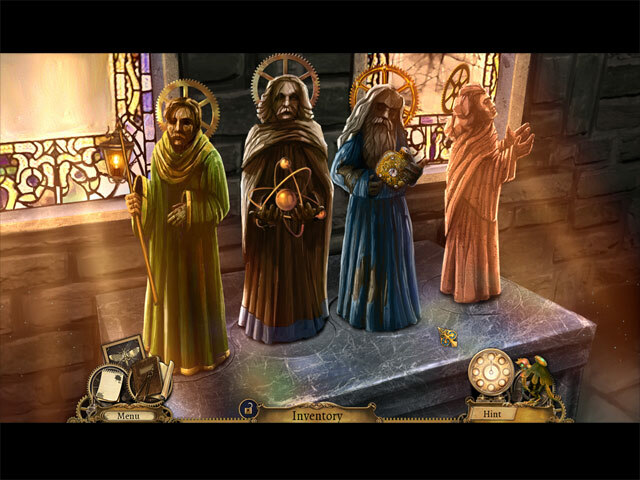 The CE extras include the usual gallery offerings, some puzzles and HO scenes to replay and achievements and collectibles. The collectibles are intricately drawn steam bugs, of 3 different types, that appear in each of the locations. They are not hard to find, but they move, often disappearing from sight so you have to wait for them to reappear. This is a nice twist. The German accents are a bit amusing, but apart from that, I saw no negatives. The game is a bit of fun rather than a serious adventure, I think, but there’s nothing wrong with that! 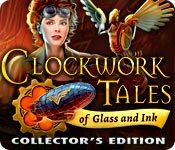 Not being a steam punk fan, I will wait for the SE, but I have no hesitation in recommending this version. Options include separate sliders for Music and Sound, Custom Cursor, Voiceovers and Full-screen/Windowed, plus your choice of Casual, Advanced and Expert play. 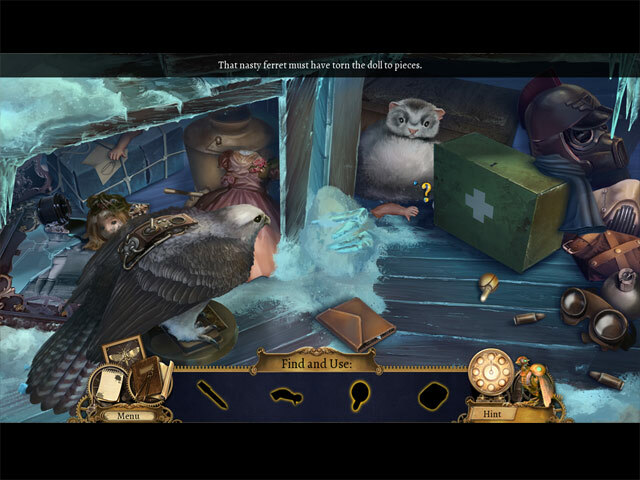 Hidden object scenes vary from Fragmented Objects to Silhouette to the usual finding items by list. The HOS are beautifully done, with nary a junkpile to be seen. We have a mechanical helper that can fetch out-of-reach items for us. POP CULTURE ALERT: Click on the little girl in the tavern (with a cat in her lap), and see what happens. 30 Collectible "Steambugs", each with its own art and detailed description - find one on each scene! Although the story felt a bit ho-hum to me, the visuals are gorgeous, and the gameplay varied and fun. Recommended to IHOG-lovers!